Female slaves using the mechanical cotton gin. Removing seeds from newly picked cotton is not as simple as it sounds. Cotton is sticky when removed from the plant, and pulling the seeds from its grasp is difficult. Throughout the 1700s, cotton production was expensive because of the huge amount of labor necessary to remove the seeds. All was changed with the invention of the cotton gin. What once was painstakingly slow was now relatively fast. By the end of the 18th century, demand for cotton was increasing as power looms were able to turn out great quantities of cloth. With the cotton gin, southern cotton plantations could now supply the world's demand. Ironically, the man who would make cotton king was born to a Massachusetts farmer. Almost immediately after graduating from Yale University, Eli Whitney traveled south. 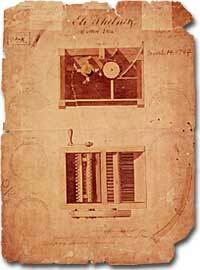 While staying at the Savannah plantation of Mrs. Nathanael Green in 1792, the widow of the Revolutionary War general, Whitney created the device that changed the world. Whitney built a machine that moved stiff, brushlike teeth though the raw cotton. To his delight, the teeth removed a very high percentage of the nettlesome seeds. Up to this point, it took up to 10 hours to produce a pound of cotton, with very little profit. 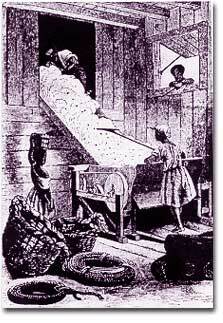 The cotton gin ultimately grew to produce a thousand pounds of cotton per day with relatively little expense. 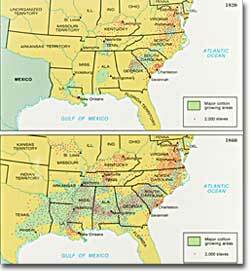 As cotton production spread throughout the South, the density of the slave population increased. As an indication of the impact of this invention, the total amount of cotton being exported was about 138,000 pounds in the year the cotton gin was invented. Two years later, the amount of cotton being exported rose ten-fold, to 1,600,000 pounds. Before the gin, the prevailing thinking of the leaders of the country was that slavery would gradually disappear. This all changed when slaves could be used to cultivate millions of pounds of cotton for markets all over the world. Eli Whitney never made a cent on his invention because it was widely reproduced before it could be patented. Determined to duplicate his inventive success, he developed the milling machine, which led to the development of interchangeable parts and the northern factory system. This one individual played a great part in creating the industrial north, as well as the plantation south. Eli Whitney's invention made the production of cotton more profitable, and increased the concentration of slaves in the cotton-producing Deep South. This phenomenal and sudden explosion of success of the cotton industry gave slavery a new lease on life. Prior to this, most thoughtful Southerners, including Washington and Jefferson, had seen slavery as an evil that must eventually be swept away. But with the southern economy now reliant on cotton, these beliefs were seen as old-fashioned, and slavery now was seen as an institution to be cherished. That Cotton was King was now well understood in the south. 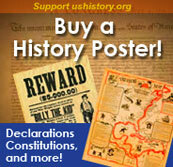 It became the foundation of southern economy, southern culture, and southern pride. The memoirs of former slave Harriet Jacobs written in 1861 make for gripping reading. Writing under the pen name, Linda Brent, Jacobs hoped by sharing her life story that Northerners, particularly women, would become aware of the brutality of slavery. Under the constant threat of sexual abuse from her master Jacobs ran away and lived in a tiny garret for seven years. She finally escaped to the North where she was purchased and emancipated. Read her riveting story in full at this site. Several illustrations accompany the work. This short piece about the cotton industry is less remarkable for its length than its power. Starting off with a brief description of cotton and its effect on slavery, the piece ends with a first-hand account of what it was like to be a slave on a cotton plantation in the South. A moving and powerful biographical entry. Students with short attention spans, this one's for you. This collection of quotes from Southerners, former slaves, and historians provides a sneak peek into the world of cotton in the South. Take a look at the harvesting process, the economics, and the crop itself through the eyes of many. How do the different views compare? Even thought the cotton gin was many times more efficient than picking cotton by hand, it did not make Eli Whitney rich. As soon as he got home, he immediately put me on his cotton plantation to work, and put me under overseers, gave me allowance of meat and bread with the other slaves, which was not half enough for me to live upon, and very laborious work. -Moses Roper, The Adventures and Escape of Moses Roper.